For those unfamiliar, the sacred stigmata is a special mystical grace given by God wherein the sacred wounds of Jesus are physically imprinted upon an individual--normally upon the hands and feet (although there have been cases of stigmata upon the wrists) --representing the nail wounds of Jesus, and often also a wound on the side of the individual, close to the heart, representing Jesus' heart wound from the lance of the Roman soldier. 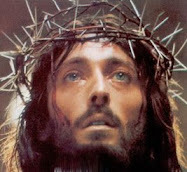 In certain individuals, accompanying the "five wounds" there is also present the crown of thorns encircling the head, and also the shoulder wound representing where our Lord carried the cross. Additionally, there can be numerous wounds representing blows and the scourging that our Lord received. All of the physical conditions mentioned above can be present in a mystic individually, or together. As stated above, for most stigmatics the wounds are in the palms of the hands, however there have been a number of individuals throughout the history of the Catholic church who have had the wounds upon the wrists--two relatively recent cases would be Fr. Jim Bruse of Woodbridge, Virginia, a Catholic priest who was reported to have received the stigmata the day after Christmas in 1991 until 1993, and also Georgette Faniel of Montreal, Quebec, who had the stigmata on and off from 1950 until her death in 2002. Looking farther back in history we note that St Francis of Assisi is also stated to have received the stigmata in the wrists. The purpose of the wounds is to draw and unite the chosen individual into a special union with Jesus in His passion, for the conversion of sinners and to make reparation for sins. Thus, individuals who are given the grace of the stigmata are always considered "victim souls" because they suffer in union with Jesus for the conversion of sinners. 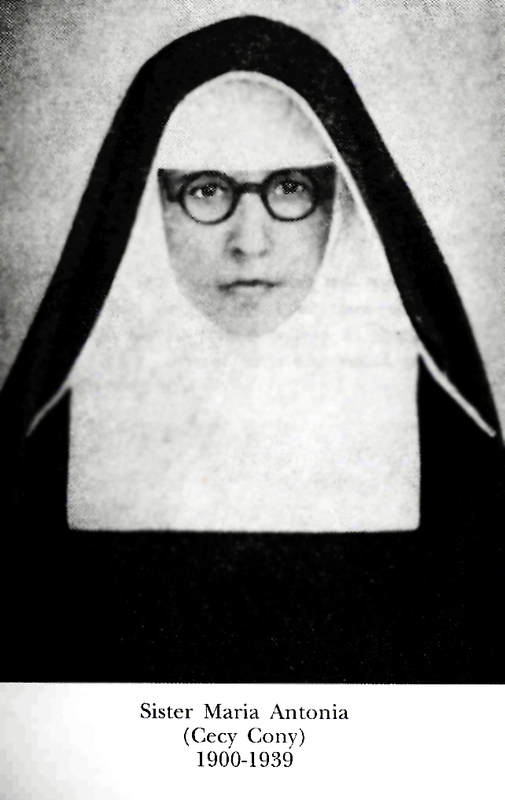 The stigmata wounds are normally visible however there are a good number of cases on record of invisible stigmata, which usually occurs when, out of a deep humility, the recipient asks God to make the wounds hidden, and in response to this humility God acquiesces to the desire, such as in the life of the American mystic, Marie Rose Ferron (1902-1936) and also Anne Catherine Emmerich (1774-1824). It should be noted that numerous mystics who have experienced both the visible and the invisible stigmata have emphatically stated that the hidden stigmatas are significantly more painful than the visible form, because there is in fact some relief of the pain when the wounds themselves bleed, and those who have had their visible wounds bandaged have expressed this difference also. 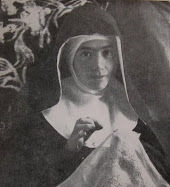 And speaking of the blood that comes forth from the wounds of the stigmata, Marie Rose Ferron from Rhode Island once asked of her mother and a couple of visitors near the bed: "How is it that I lose so much blood, when I have so little?" 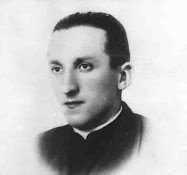 The stigmata wounds themselves are extremely painful, and at times certain individuals such as St Gemma Galgani have actually passed out due to the overwhelming pain of the wounds. Upon receiving the stigmata, Gemma described the pain saying: "I felt as if I was about to die". When asked whether or not the wounds are painful, the great St Padre Pio replied: "Do you think that the Lord gave them to me for a decoration?" Padre Pio (1887-1968) is the only widely accepted priest to have ever borne the stigmata (St Francis of Assisi was not a priest, but was a religious brother) and what is even more remarkable is the fact that he bore the stigmata on a continuous basis for 50 years and 3 days--the longest of all the known stigmatics! Mosignor George Pogany once testified that a man had said to Padre Pio: "Who knows if the stigmata are real or fake?" and Padre Pio replied sincerely: "Well, if they are not real then I am the first one to be deceived." For some, the stigmatic wounds suddenly appear--often on Thursday evenings and even more often during Lent and Holy Week, and usually they are accompanied with ecstasies/visions of the Passion of Jesus--and afterwards the stigmata will often almost completely disappear within 24-48 hours, only to reappear the following Thursday, often during Lent, and most especially Holy Week. 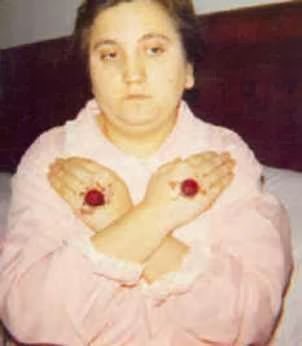 A currently living stigmatic named Myrna Nazzour of Damascus, Syria only receives the stigmata on Good Friday when Easter falls on the same day for both the Orthodox and Catholic churches.Others however have borne the stigmata on a continual, permanent basis. History has shown that the stigmata can occur in a wide variety of persons, circumstances and conditions. While the vast majority of recipients have been women (90%), and most of them religious nuns, it has occurred numerous times throughout the centuries in a number of lay men and women, single and married. 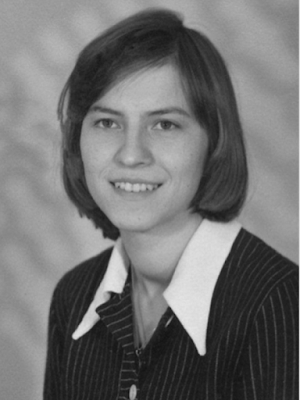 From the 1980's to today for example it has (allegedly) occurred in the young married Catholic woman named Myrna Nazzour of Damascus, Syria and also in a retired married Catholic man from Michigan named Irving "Francis" Houle who died in 2009. Both of these persons have received the support of their local Bishops. 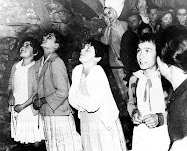 Or again in the 1940's there was married Ohio woman named Rhoda Wise who experienced an amazing conversion into the Catholic church and soon afterwards was miraculously cured and received the stigmata and who also received the support of her Bishop. While St Francis of Assisi (b.1181/1182-d. 1226) is normally recognized as the first stigmatic in the Catholic church, however there are a good number of Biblical scholars and others (this writer included) who believe that the apostle St. Paul was in fact the first stigmatic, because in Galatians 6:17 Paul himself writes: "From now on, let no one cause me trouble, for I bear on my body the marks of Jesus." "God was performing extraordinary miracles by the hands of Paul, so that even handkerchiefs or aprons that had touched him were carried from his body to the sick, and their diseases left them and the evil spirits came out of them" (Acts 19:11-12). We see this very same practice occurring today with "hankerchiefs" and other items that have touched the wounds/blood of a stigmatic being used to cure others, and are highly regarded as sacred relics by persons within the Church. Nevertheless, St Padre Pio, the apostle Paul and St Francis of Assisi are noteworthy also because of the fact that they are men, given that of the roughly 400 cases of those beatified or canonized persons within the Catholic church, 353 are women and only 54 are men--in other words, women have received the stigmata over men by a majority of almost 7 to 1. It is very important to note however that in all such persons, the Church itself does not authenticate cases of the stigmata, but only the heroic virtues practiced by the individuals whom were given them. Notable also is the fact that many who have borne the stigmata died, like Jesus, at age 33--an amazing fact which can only be interpreted as a Providential seal upon the victim soul's identification and union with Jesus. Some of the stigmatics who like Jesus died at age 33 are St Catherine of Siena (1347-1380), Blessed Mariam Baouardy (1846-1878), Servant of God Domenica Lazzeri (1815-1848), Servant of God Louise Lateau (1850-1883), Teresa Musco (1943-1976), St Faustina Kowalska (1905-1938) who bore the invisible stigmata, Sr. Josefa Menendez (1890-1923) who bore the crown of thorns, and the American mystic from Rhode Island, Marie Rose Ferron (1902-1936). Another amazing fact concerning the stigmata are the numerous documented cases where various natural laws, such as gravity, are suspended. 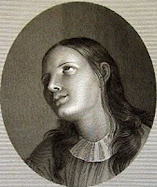 For example, we see in the life of the Servant of God, Domenica Lazzeri (1815-1848) where a respected observer, Lord Shrewsbury John Talbot testified in 1837 while observing Domenica lying in her bed: "Instead of taking its natural course, the blood flowed upwards over the tops of the toes, as it would do were she suspended on a cross." 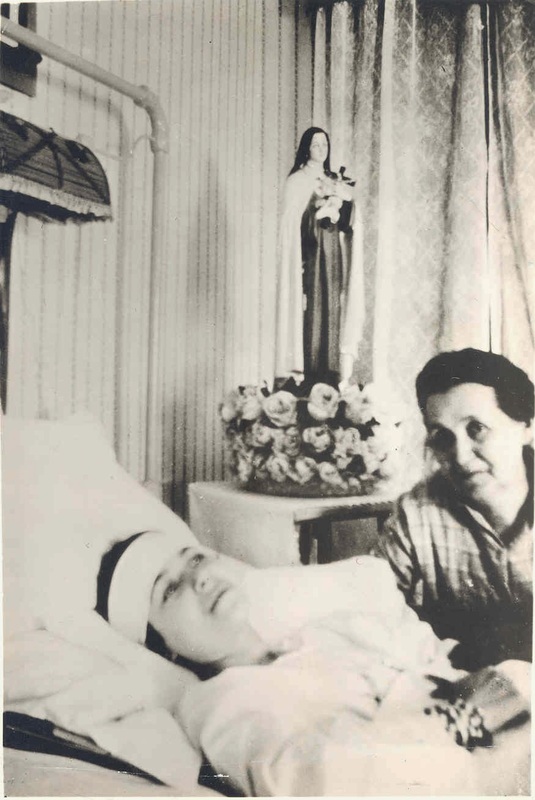 At the same time, how can anyone explain the amazing speed at which St Gemma Galgani's (and many others) stigmatized wounds would heal each week? Beginning on Thursday evenings, Gemma would be drawn into ecstasy, and would soon develop the crown of thorn wounds on her forehead. By Friday at noon, she would have the stigmata on both her hands and feet--large open wounds that would be bleeding profusely, with the sheets on her bed being completely saturated in blood. At 3pm on Friday, all of the wounds would stop bleeding and begin to close up, and by the next day (Saturday) the wounds would be completely healed with no scabs--in less than 24 hours, the only evidence of the large nail sized wounds the afternoon before would be a round whitish colored scar, as witnessed and testified by numerous people on many occasions. Those interested in the testimonies and drawings of St.Gemma's stigmata can find them here. 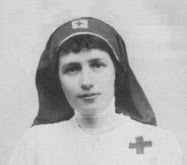 Of course, under normal circumstances such an open wound would normally involve prompt medical attention due to severe loss of blood, and also for the prevention of infection, but such was never necessary concerning Teresa's stigmata, or any of the other stigmatic's this writer has ever read about. In fact, one can clearly see in the photo to the left the extensive size and severity of Teresa's stigmatisation. At most, loose fitting gloves have sometimes been worn by certain stigmatics, primarily to hide the wounds from curious onlookers, but the application of antibiotics and extensive bandaging never proves necessary. How could it be possible that such wounds would not become infected in the persons who have borne them on a continual basis for years? The answer is simply that they are not ordinary wounds and they do not originate from ordinary means--they have their origins in God and are sustained by Him. Nevertheless we can provide a few cases here. Firstly what is most interesting in the cases of stigmata that have occurred outside of the Catholic church is how closely they often resemble in the basic facts the ones that have occurred over the centuries within the Church---but in almost every case there is one major difference: In the vast majority of the cases outside of the Catholic church the persons who have received the stigmata soon begin public healing ministries wherein there is the "laying of the hands" upon the sick or infirmed--in other words, they believe that their stigmata wounds contain healing powers and that soon after the reception of the stigmata they feel called to participate in public healing services. 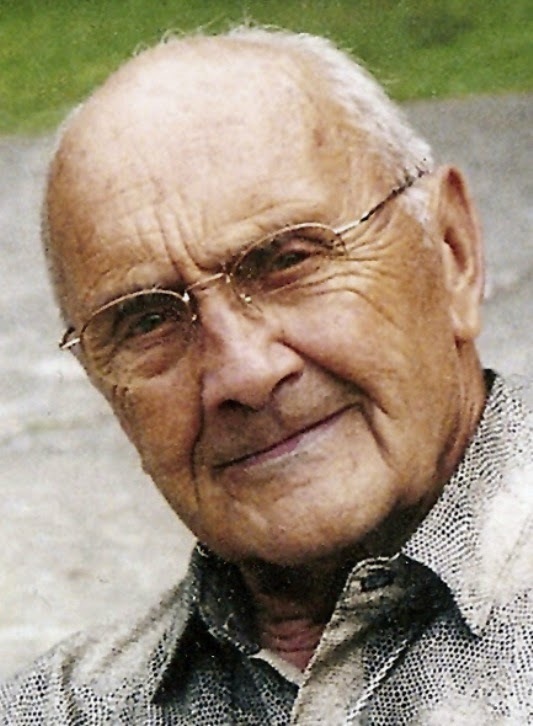 While the call to such a healing ministry has also occurred more recently with certain stigmatics in the Catholic church, such as with Irving "Francis" Houle, the Michigan stigmatist (1925-2009), who with his priest spiritual director, the author Father Robert J. Fox, traveled to many areas of the country and would lead a healing service after Mass wherein he would lay his stigmatic hands individually upon the faithful. 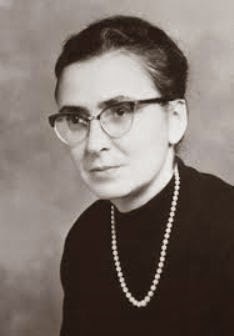 According to Bernard Ruffin (Padre Pio –The True Story, Our Sunday Visitor,1991) one of documented stigmatists who was not a Roman Catholic was Elsie Nilsson Gjessing, a member of Central Lutheran Church in Minneapolis, Minnesota. 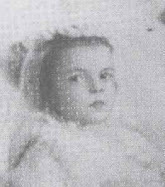 Born in 1904. she received the stigmata as a child in Sweden, and it is said to have continued until her death at age seventy-nine. 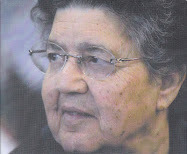 She has been described by one of her pastors as a sweet and humble woman, "so ordinary in every way." She was allegedly gifted with many ecstasies and she was also one of the few married stigmatists. The wounds in her hands, feet and side were said to have bled copiously from Holy Thursday night until 3 P.M. on Good Friday. 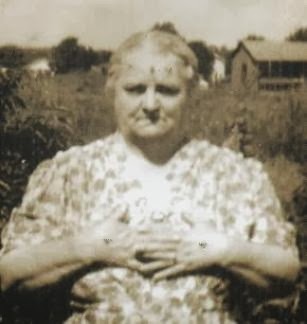 Additionally during Lent, Elsie was alleged to have experienced what she described as “'hellfire", in which her body became so hot that cold cloths were placed on her in an attempt to cool her body temperature. Incidentally, this same phenomenon of extreme body heat was also experienced by St Padre Pio and documented by his physician, wherein upon taking the Padre's body temperature on several different occasions, the thermometer would literally be pinned at its highest reading (of 120 degrees). Mrs. Gjessing herself has stated that the suffering and anguish that she experienced was "only a tiny little bit to let the world know what Christ went through. It is only a sample - just as small as a nail- that He lets me have." 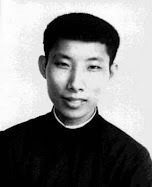 In 1970, her pastor, Dr. Morris Wee, recorded some of her ecstasies. She claimed to have seen and spoken with Christ and her guardian angel, as well as with Martin Luther. 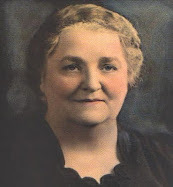 Mrs.Gjessing, who like many mystics was ridiculed and shunned publicity, was also reputed to have been the instrument for many healings as she touched the sick with her stigmatized hands. Other recent stigmatics outside of the Catholic church include two from Great Britain--Ethel Chapman who claimed to have the stigmata in 1974, and also Heather Woods, an Episcopalian, who allegedly experienced the stigmata beginning in early 1993, however she died in November of that same year. Heather's stigmata was studied quite extensively by her physician who stated in writing that he: "...was satisfied that they were spontaneous lesions for which I could offer no medical explanation." The statement by Heather Wood's physician leads us to another question concerning the stigmata--- what medical studies have been done concerning the stigmata? There have, in fact, been a few individuals with the stigmata who have been studied by medical professionals. For example, St Padre Pio's stigmata had been studied by at least five physicians during his lifetime--something for which Padre Pio, in his great humility, was not at all in favor of. In fact he would only allow the physicians to examine him if ordered to by his religious superiors. Dr. Georgio Festa was able to study Padre Pio's stigmata quite extensively on one occasion because the Padre was under anesthesia for a necessary operation for a hernia. Other physicians to study Padre Pio's stigmata over the years were Dr. Luigi Romanelli, the chief physician at Barletta City Hospital, Professor Dr Guiseppe Bastianelli, physician to Pope Benedict XV, a Pathologist--Dr Enrico Bignami of the University of Rome, and finally Dr. Alberto Caserta who took XRAY's in 1954 of Padre Pio's hands and found no abnormalities outside of the wounds of the stigmata. Essentially, a couple of the physicians came up with theories as to a possible medical cause of Padre Pio's stigmata, but no conclusive evidence was ever discovered. To this day, Padre Pio's stigmata, which he bore for over 50 years, remains unexplained by science. 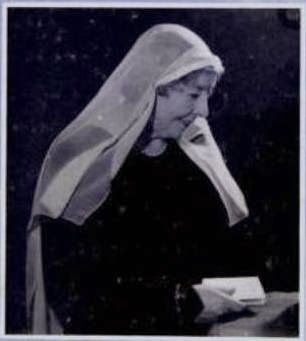 Even more interesting was the intense scrutiny that Louise Lateau's stigmata had been subjected to by three physicians led by Dr. Lecrinier de Fayt. In the medical experiment, the Servant of God, Anne Louise Lateau's hands were encased for two days in thick leather gloves, and sealed with ribbon and a special wax seal, making any external self-infliction completely impossible. Louise's stigmata would suddenly open and bleed on Thursday evenings into Friday afternoon until 3pm. They would then close and heal within the matter of 24 hours. Knowing this fact, the physicians, "...after ascertaining that both of her hands were in a normal condition" they proceeded to encase and seal her hands at 4pm on Wednesday, applying first linen gloves, then leather gloves affixed with a ribbon five times around the wrist, and sealed with a wax seal. A little after 7:00AM on the following Friday morning, the three physicians met with Louise and "....each one of us carefully examined the apparatus and ascertained the perfect integrity of the seals, the ribbon, and the gloves; and made sure that it was impossible to slip any instrument over the front or the back of the hands. These points having been determined, I cut the ribbons and removed the gloves. They were quite full of blood: the hands were steeped in it. After having washed them in warm water, we found the stigmata in the same state as on other Fridays; inside the palm, as well as on the back of each hand, the epidermis was raised; it was torn and had left bare the surface of the true skin; each of the stigmata continued to bleed as usual [as on other Fridays]." 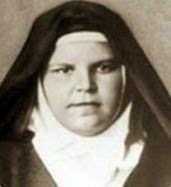 One last significant note on the stigmata--when studying the lives of the stigmatics, we find that many of them received the stigmata after a very severe illness--and even more significantly after a miraculous cure---for example the reception of the stigmata upon the Servant of God, Therese Neumann (1898-1962) occurred after a miraculous cure through the intercession of St Therese of Lisieux, and again Rhoda Wise of Ohio who received the stigmata once again after a miraculous cure through the intercession of St Therese of Lisieux. 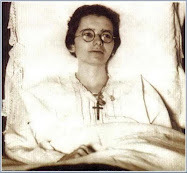 Also, St Gemma Galgani (1878-1903) received her stigmata after the miraculous cure through the intercession of St Gabriel Possenti, and as we read above, Dorothy Kerin received her stigmata after a miraculous cure also. The recent stigmatic, Irving "Francis" Houle, had fallen off a horse at age 5 and was expected to die that night--but Jesus appeared to him in a vision and instantly cured him. 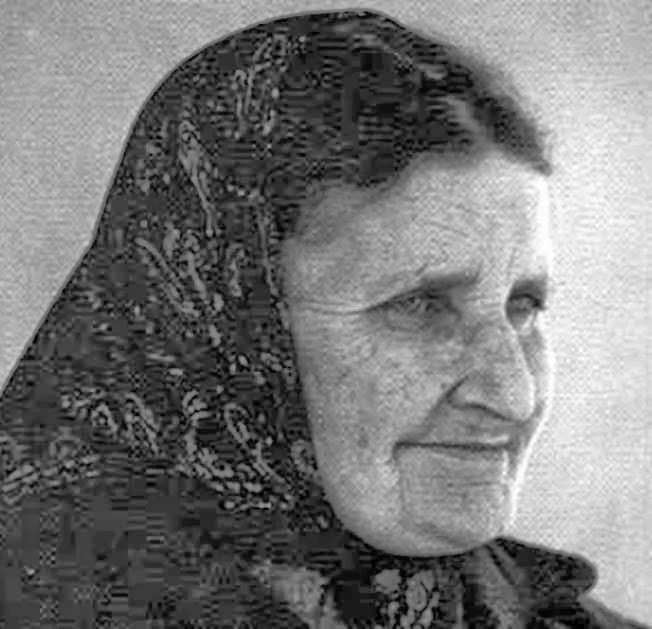 Blessed Mariam Baouardy (1846-1878) was twice miraculously cured by the Blessed Virgin Mary--once of blindness and another of injuries from a severe fall and finally The Servant of God, Maria Esperanza (1928-2004) was cured of a life threatening case of pneumonia by the Blessed Virgin Mary at age 12, just to name a few of the many. Great article. One of the other interesting things about the stigmata is that in all the the persons I have read about that were given it, the wounds are always found to be healed at their deaths. The human race owes a lot to those with whom Jesus shared His passion; while it is true that the stigmata are for atonement of sin, they are also a gift of His incredible love for the ones to whom He gave them, and in fact, desires so suffer His passion in and through them so that they are part of His life in respect to the passion He suffered. One need not receive stigmata for that to be possible; we can offer our life with all its troubles to God for atonement and receive the gift of His LOVE in response. I had the blessing of meeting two alleged stigmatists in my lifetime. One very humble woman who no longer suffers stigmata but has a growing healing ministry. Another young man from Asia who sadly I was not impressed with and am discerning over but regardless I feel it was a blessing and these people are human beings who struggle like the rest of us. Non-Catholics having the stigmata? Are they so blessed while denying the true Church? Are you serious? To hold this is blasphemy. You said: "Non-Catholics having the stigmata? Are they so blessed while denying the true Church? Are you serious? To hold this is blasphemy." Thanks for your comment. 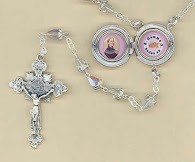 It is very important to note--as I mentioned in the article--that the Church DOES NOT authenticate the existence of the stigmata in the individuals that She chooses to raise to the altars (beatification/canonisation), so the Church (or therefore myself)would not state with certainty that St Padre Pio, for example, had the stigmata, or any other Saint for that matter. So, therefore I am not stating for certainty that ANY OF THE INDIVIDUALS presented here have had the stigmata, but only that they were THOUGHT to have had the stigmata. Now, as far as NON-CATHOLICS: It appears from your comment that you believe that it is not possible for non-Catholics to receive mystical gifts from God? God is free to grant His gifts and graces where He pleases, and I am certain that He grants countless gifts and graces to those who are not Catholic. In a similar vein, while we know with certainty that the Catholic church possesses the fullness of the Truth, Jesus--the Word of God-as given to us in the Holy Scriptures-is not limited to the Catholic church (just to mention the Bible as just one example of God's gifts to all persons, Catholic or otherwise). In short, if I am understanding you correctly, your view of the grace and gifts of God as being only given to persons within the Catholic church is way too rigid and confined, and the Catholic church itself does not teach or espouse this view. I'm curious. You have a picture of Sister Lucy here. Does that mean she was alleged to have had the stigmata as well? What you mean to say is there is no salvation outside of Jesus. It's not through an organization but through Jesus we find salvation. The catholic church isn't the way, the truth, and the life. Jesus is! 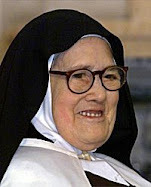 No, Sister Lucia was not known to have the stigmata--the photos on the right hand side of the page are just some of the many Mystics highlighted on this website. Has anyone heard about the stigmata appearing on the Croatian priest Father Slatko Sudac? 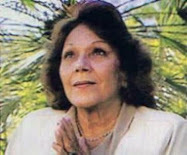 Audrey Santo had the stigmata and is up for sainthood in the Catholic church. They also had 7 miracles of the Eucharist. my name is Ken Wilson I am a Pastor in the church of God of Prophecy and have enjoyed this site, I believe God blesses those as he chooses, if they be Catholic, Church of God, lutheran whatever as long as the truth that Jesus is the only way to heaven, it is his blood and his blood alone that saves us...very interesting stories of great faith! I don't know if you've heard of him, but another stimatic you might want to look into and feature on this site is Antonio Ruffini. I don't know much about him, but would love it if someone could get a hold of his Italian biography and translate. hi i really enjoyed the write up. Have you read of Rev. 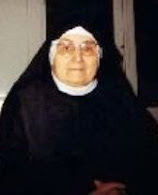 sister Martina oforka of Enugu state, Nigeria. it will be great if you can investigate her. I know a Christian, non-catholic. I have a question - please bear with me, when she prays, the the centre of her palms tend to have a burning sensation, and more recently the top of her hands have had a similar/ lesser sensation too. She also feels slight sensations on her feet when praying. Can this be something like "it", or not? To reply to your question, yes, it is *possible* that your friend may be experiencing the beginnings of what is referred to in this article. But of course there is a great deal more information that would be needed to discern if this really is the case, or not. Thank you, and may God bless you too. Thanks for your kind comment Padraig. I sincerely appreciate it. As for myself, I appreciate all of the good work that you do at the Mother of God forum. May the Holy Spirit, who knows all truth, enlighten our hearts and minds about the mystery of stigmata. Yes, it exists out side of the Catholic church. I have seen it. God is outside the walls of any church--Catholic, Protestant, Lutheran, Nondenominational... He is ever-present, and He knows no bounds. I pray that we get beyond "religion" and intimately know the one true God. 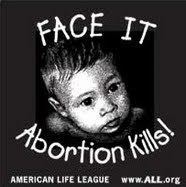 I cry out for open minds and open hearts! Ven.Therese Neumann's deceased body still bore the stigmata she bore when alive:as far as I know this is unique and can be seen in Adalbert Albert Vogl's "Therese Neumann:Mystic and Stigmatist" & in books by Johannes Steiner.My thought is that in the Ressurec-tion of our bodies she like St.Peter will bear the stigmata as a sign of love for our Savior. There is a baby born with the wounds in the Philippines. Would be interesting to look into. Stigmata outside the Catholic Church are possible BUT all of the real mystics eventually convert to the Catholic Church, like Adrienne von Speyer. This is because the Holy Spirit leads to unity, and unity is found ONLY in one true Church: common-union... communion is real (not symbolic) only in the Catholic Church: protestants don't have the Body, Blood, Soul and Divinity of Christ, really present in the Eucharist. St. Louis Marie Grignion of Montfort, Doctor of the Church, wrote that big miracles can only lead to the Catholic Church, since God does not want people to be leaded away from the fullness of Truth and the means of Salvation: the 7 Sacraments, the infallibility of the Magisterium, the Liturgical year and sacramentals. Once I was on a plane once returning from work in Europe and had what looked like the most intense bruising I have ever seen on my body, appear in the centre of each of my palms. It started small and developed quickly. It looked like bruising and then in the creases of my palms it started turning red like it would bleed in the creases. Given my medical history (cancer), I actually contacted the air staff and requested to see a doctor if one on board as I was beginning to worry about my health. They published a notice to the passengers and a Doctor came forward to see me. I told her my history and she did a check-up to the best of her ability (including blood pressure etc) and could not determine what was happening and assured me that my vital signs and health were completely sound. In her own words, she asked me if I knew what a stigmata was. Because that was the only solution she may have for what she was seeing. Within 2 hours they had started to disappear and by the time we landed was 100% fine/normal. I have survived cancer when I was 25. During which time I nearly died 2 times and both times had what some would call an “out of body experience”. The second time, I was given a choice to stay or go. (Clearly stayed). Since then, I started to experience intense dreams and visions. One of which was about the kidnappers of young Elizabeth Smart. (I live in New Zealand and had no idea why I got these but found out a month later when I saw them in the newspaper). I had what "Some" would call psychic abilities with other small things (too many to mention here). It is important to me that you understand that I was not raised in religion and have therefore had my own experiences in life in which to form beliefs. I am reluctant to put a label on my beliefs still yet have had some undeniable experiences that can be verified by other people that are somewhat unexplained and at the same time, undeniably true. I say this because I have absolutely no reason OR motivation to fabricate these stories. I am purely interested to hear the opinions of such devoted religious people (as seem to occupy the comments on this page) and hear your interpretation of things that have actually happened to me. With all due respect to everybody’s beliefs…. I imagine if I was “of the church”, some might say I had gifts from God. However, I am not. And so I am genuinely interested to hear your thoughts on my experiences. Stigmatised persons are those who once crucified, tortured, mocked or derided Christ on the Cross of curcifixion! Very interesting article. I have been reading about Fr. Zlatko Sudac and was very interested to know if there were any occurrances of stigmata outside the Catholic church. Thank you for all who point out that the Holy Spirit knows no bounds. God is bigger than any box you can put Him in. Amen and amen! Don't understand why nothing was mentioned about the blood type of the stigmatics. Wouldn't their blood match the blood on the Shroud of Turin and of various Eucharistic Miracles? Type AB. Great point! It is a worthy consideration. The thing is though, I don't recall ever reading the blood types of any of the mystics that I have written about. Unfortunately it seems that it is not something that most authors normally publish in their biographies. Although now that you mention it I will definitely be on the lookout for this information in the future. I had a stigmata the other day. I saw a stream of blood coming out of my wrist. I was actually in the middle of telling a kid to go home after he was yelling and screaming and cursing at my kids. I felt the Holy Spirit come over me and I saw the devil in him shaking . His eyes kinda rolled around and stuff. Later that evening I was praying in my room and reading the bible and I started to feel something like some stakes going through my ankles. I then felt a crown of thorn on my head. Jesus is definitely present at this time . I felt the spirit overwhelm me and then it lifted as I lay there in my bed. I've experienced itching on the top and bottom of both my feet in the center, hands and wrists. My eyebrows and various spots on my head.my skin would hive up on these spots. I've had a red spot the size of a pea on both sides of my ribs at different occasions. There were times that I felt like I was dying. The pain is horrible to were I can barely talk ,walk and breathe and all I can do is lay down and try to sleep the pain off. Then within 4-6 hours of sleeping I wake up,I'm back to normal with no marks or pain. Please help me figure out what this is! Do stigmatics experience moments of intense sadness or sorrow that they cannot explain? Is it a normal occurrence for a stigmatic? Or can it just be that he or she gets too emotional at times? To reply to your question, I would definitely have to say yes that stigmatics do experience moments of intense sadness or sorrow, but I believe that most of the time they know it is for the conversion of a sinner, or sinners in general, since this is really the primary mission/vocation that Jesus has called them to. -I hope this helps a bit to answer your question. Thank you very much, it does answer my question. May God bless you and your loved ones too. Just wondering - has there been any follow-up on Ian Wills' comment regarding his experiences? It's that he can't be contacted via the link provided... Cheers. I wonder if the pain and stigma of clerical sexual abuse and renewed trauma by those who fight and try to cover up - if that is acceptable as sacrifice to God for conversion and penance. God promises to make good of all for those who would love Him. Through, with and in Jesus - I wonder if that kind of suffering is acceptable in renewing the Body of Christ and so it does not happen again. Renewing faith where trust has been destroyed. There are no outer wounds necessarily but very profound inner ones. A heart pierced with a lifelong sorrow. I hand it to one who understands that - Mother Mary. Ian you have gifts. We all do. It seems to take experiences of the kind you had - terminal illness and near death - out of body, to realise potential this way - or truly begin to. I am sure you will put to good use in healing for yourself and others in whatever ways you are able. St Paul seems to have had a Near Death Experience when he almost died and did not know if in or out of his body as he visits the "third heaven". He has no language to express or describe. Thomas Acquinas - one of the greatest of the Church wrote volumes. At near end of his life he said, "Everything I have written is as so much straw compared to what has been revealed to me." I wonder if he might have had NDE. I have a very remarkable experience that has happened to me within the past month. I recently posted on another stigmata website about a health issue that has plagued me for some 30 years. An Angel I will call them prayed for me to be free of this health condition. Several days after my post I began to feel so much better that I actually ventured out side of my home, which I very rarely do. So I was driving somewhere, only two blocks from my home when out of the blue I was struck by another vehicle moving at a high rate of speed. The impact was so great that my seat belt gave way, and I hit my forehead on the rearview mirror, which in turn shattered the windshield. I only had a pin sized blood spot on my forehead. I had incurred no pain, bruising, or lump on my forehead. Yet strands of my hair were imbedded in the rearview mirror. Other than that pin size blood spot, I had no other injuries. That same evening I had a dream that I was at my sister, and brother in laws house. I was there for some type of gathering. Some women at the gathering approached me and stabbed me on my right hand palm.It was a gapping wound but it did not bleed. I was very upset that my sister would let this person be in her home. After sometime I looked at my palm and the wound was raised about 1 to 2 inches off the palm of my hand. Almost like flesh was growing out of it. So the dream ended on a sad note because I was still upset with my sister. The following day when I woke up, I was still upset about the dream and everthing that had transpired during it. Then one day later I was washing my hands and I felt a small bump on my right hand palm. I was astonished to see a bump raised slightly close to the center of my palm. This raised bump was never there before. I saw struck with fear, and enlightenment all in the same breath! The same evening I called one of my other sisters on the phone, I explained my dream, and the white raised bump on my palm to her. 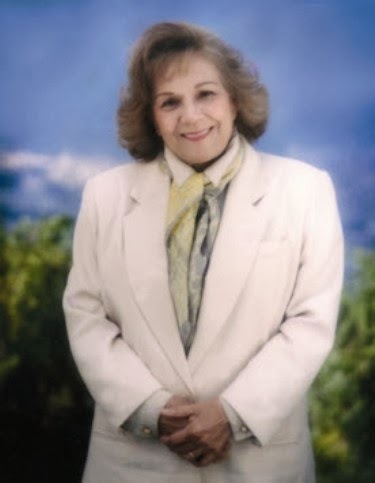 She runs a meeting group that explores a Course in Miracles. Its a uplifting manuscript of Divine Spiritual Growth. I have been reading and participating in it for sometime now. I asked my sister what she thought about my experience. She didnt know what to make of it either. So then two days later, I had received a call from another sister, a different one from the other two, I didnt take her call because I was on the phone with my car insurance company regarding my accident claim. The insurance agent told me that the vehicle was deemed totalled, and that he couldn't believe I did not receive great trauma, or even death from the accident because of the damage to the vehicle. After I got off the phone with the agent, I noticed that my other sister, the one from the dream had also called me and left me a message as well. I was completely talked out at that point since I had been on the phone with the agent for 45 minutes or so. I decided to wait to call both of my sister's back later on in the evening. I layed on my bed thinking of all of the things that had transpired over the week. The dream, the white raised bump on my palm, the vehicle accident, and how I survived with no trauma, or even death. Everthing was just so strange. I decided to watch some television, when my roomate came home, and asked me if I had spoken to my sisters? I replied no I had not yet. He advised me it was important that I call them immediately, and I responded why whats wrong now. He said that one of the two sisters had called him. My sisters Son, had passed away. The sister from the dream! I am so lost for any words, I still can not believe all of these strange occurrences could happen in one weeks timeframe. Please pray for my Sister and her family. The most recent stigmata case just happened this past Easter weekend in my home country call Samoa formerly known as Western Samoa in the south pacific.A young mother started seeing vision during the week before Good Friday n b lived to start showing signs of the wounds on Thursday night.she bears the wounds on her palms,feet,side n forehead.she is not catholic bt she's a daughter of a pastor serving at one the local congregational Christian Church.it is believed that she's been sick for the past three years (possessed by evil spirit of a ex boyfriend who committed suicide after they broke up earlier)why I brought this to your attention is because I see that the my country is divided by this stigmata case between believers of this miracle and non believers saying it's the work of the devil due to the fact of her sickness.please make time to have a look n investigate. Oh come on now, Name ONE person in 2016 that this has happened to. All those people, can not be examined by modern medical science. Now I am a firm believer in Jesus myself. BUT this does not happen to people now. And you can't sit there and believe that it does. I'll give anybody the benefit of the doubt because Jesus can, and will do as he sees fit. but come on now. this?! Thanks for the response. We should regard it as Divine Providence that we are Catholics. It is God who is @ work. I am sorry for your emotional pain. Please know that judging others only brings more harm and judgement to you. Dear holy soul of Stigmata pray for us to the Father through His Son whose suffering share through stigmatization, that God will be merciful to us now and at our last days. We must remember not to put limitations on the Father, Son and Holy Spirit. Because we haven't seen evidence of these gifts from God doesn't mean they don't exist. Many people who are truly humble may suffer in silent understanding and with grace. Quiet prayer for those who have no one to pray for them, for the lost souls, for the holy souls, for the orphans of mankind, for the weak and for the rich and privileged, these prayers can be said by the healthy. To suffer illness, sickness and acute physical pain with and for Jesus is thankfully rare, I am grateful that I haven’t been called in this way even though I, as we all, live for God and no other. Often lottery winners seem to have the same look on their faces as stigmatics, they have been especially chosen due to merit. We are all especially chosen to be here. Those also serve who stand and wait. I know of someone who usually wakes up and prays intensely in the middle of the night.One night, just after waking up, pain began quickly and so intense it was debilitating. Severe pain in the center of both hands, simultaneously. The pain went thru the hands and out the other side, as though a spike was driven through. Pain is not an accurate word to describe this sensation. It was beyond painful. This person was incapable of doing anything but curling up and suffering. After an hour or so, this person cried out"Please,Stop!' I cannot endure this. In about 8-10 minutes, the sensation had completely disappeared. He kept silent about it for about 2 months, until. the thought of it kept returning until he needed to talk about it. He was advised by someone who knows about this to speak only to a priest that can be trusted. Apparently, making this mystery public can cause great controversy for many who disbelieve, are jealous, have no knowledge of these mysteries , etc. Pray for the persons who experience this mystery, that good may come of it for all. Thank you for sharing the story here. Yes, you are right that sadly people who experience such things are often met with misunderstandings and disbelief. In addition, we are currently in more of a faithless generation, which certainly does not help. However on the plus side there is the fact that information about such things is more readily available than it used to be.